Sunday, Sept. 25 is Social Media Sunday – a great time to let others know about the wonderful things that are happening at your church! 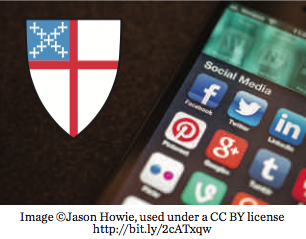 The resource below offers 15 ways that members of your church can use social media to PROCLAIM the good news, ENGAGE your networks, and INVITE others to join you. Feel free to copy/share/reproduce/tweet/anything-that-works for you on social media or on paper.